Its all free, very easy to install and setup. Instant verification and compatibility with all web hosting panels and web servers. It comes with a handy API to make certificates via plugins and its very efficient. If you need free fast and reliable CA that gives you certificates for free this is the choice to go. It gives the abilityy to the user to see that the trafic on your website is cyphered and anyone can see it. Also it gives reliability to the people that buy from our store to dont be afraid against fraud . La posibilidad que da a cualquier pagina web, servidor de correo, ftp... de poder encriptar el trafico qeu se envia y se recibe a través de dicho servicio de una manera facil, rapida y sencilla. Además si tienes un negocio o una página web online, puedes dar mucha más fiabilidad a los clientes ya que les demuestras que la página es segura. No hay ninguna cosa que me disguste de este servicio. Si tienes una página web o algo en el que necesitas encriptar el tráfico entre el cliente y el servidor te recomiendo qeu utilices este sistema. La posibilidad de crear certificados para cada persona y un certificado wildcard para poder asegurar nuestros servicios y nuestra web. "Super Easy Way to Add SSL to your Site"
I just love how easy it is to get your site secured with SSL using LetsEncrypt. Most registrars offer their service now and the best part, it is FREE! I use DreamHost for hosting of many websites and LetsEncrypt just abstracts the user from the nitty gritty involved with SSL certificates. Honestly, their service is straightforward and is easy to use and again, it's free. What couldn't you like about that. I remember the days where adding SSL to your site was not such an easy task and it was expensive too. Securing our web applications, protecting users data and following Google SEO standards so your sites don't show "Not Secure" in Google Chrome address bar. Let’s Encrypt is very easy to implement (its more or less a one-click implementation via our host Siteground). For anyone concerned about Google’s ‘not secure’ tagging that’s just rolled out, this is a perfect solution. Best of all, it’s absolutely free, meaning you don’t have to spend hundreds on an SSL. There’s nothing to dislike with Let’s Encrypt. As a free service, it’s exceptional and comes highly recommended. I've used it in previous jobs too and always recommend using it. As mentioned above, with Google’s ‘not-secure’ tagging, this makes it simple and free to avoid the tag. If you need a lower level encryption to secure your site, this is the way to go and will help you to cut your costs. We currently use it to secure our sites that have contact forms on them, so I cant say how well it holds up for transactions etc. Its very easy to install and use, in their website they have a lot of documentation, and a autoinstall script. We use a plesk panel and it has a built in app to get letsencrypt certficates and is almost instantly. It secures the connection between the customers and us on our website and that gives more reliability to customers if they need to make some type of payments on the website or input some of their personal data. "Free SSL Certificate for you website"
I love that Let's Encrypt offers a free solution towards getting an SSL for your website without having to spend a crazy amount of money a year. I dislike the manual installation of installing an SSL Encryption. You also have to renew it every 6 months by reinstalling a new certificate each time. If you are looking for the solution with Google Marking your page Not Secure, or just want that HTTPS professionalism, I recommend using Let's Encrypt to get that for free! With Lets Encrypt we were able to tackle out the problem with Google Chrome marking websites without an SSL certificate as "Not Safe". 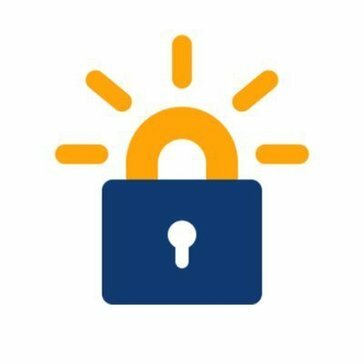 We are now able to avoid that free of cost with Let's Encrypt! "It is a great free SSL "
This is a great tool that gives you and SSL for free that is what makes it great! I just wish that it would allow you to create an SSL for a full year. But free is free but just need to set a calendar reminder to renew it which they made very easy to do. "Letsencrypt is an simple and easy process to protect your computer"
Letsencrypt made it easy to protect my desktop and laptop to ensure that my information would remain secure, just in case it was lost or stolen. product. However, after going thru the training, I was okay. Letsencrypt was recommended to me by a network security professional. He stated it was easy yo install and would provide me with excellent protection. The business problems as an financial advisor, and marketing agency is to protect my clients information and keep it safe. Letsencrypt allows me to have three logins before my computer can be accessed. "Very Good SSL for websites"
Secure, Free to use, Easy to integrate into many websites and servers. Our team set this up in under a day and it automatically updates using a linux cron job. Mostly just a feature request such as code-signing for software would be nice to have. It is excellent... what are you waiting for? I run over 160 websites and this software works PERFECTLY! I use gandi.net for my domains and DNSimple for my DNS. LetsEncrypt is built into the domain purchase and maintenance tooling. At this point, I've liked everything about using LetsEncrypt. Providing a secure browsing environment for open source project sites as well as personal businesses. This is a free automated Certificate issuer that's reliable and easy to use. If everyone starts to secure their websites, the world will be a better place! The fact that we need to renew every 3 months (but this is ok with me since I automated it) and no wildcards. Other than that this is great!!! Use it and enjoy, and make every site of yours sercure. Securing all the sites from simple to complex. The benefits are all about security, there's no man in the middle anymore. I like that the ACME protocol will take care of doing auto renewals and provisioning. The initial process of getting setup takes a bit of research, but once done is makes sense. Automated SSL renewal that is free of charge. This prevents us from having to keep track of renewing SSL certificates. I honestly can't say I dislike anything about this company or the service they provide. "One of the easiest encriotion software"
I first got letsencript with my new cpanel license and its one of the easiest to set up and use. I've for no complaints what so ever! Couldn't recomnend it more. Super easy to implement. They work with hosting companies such as SiteGround to make it accessible to the average user. It's basically a one-click install! I really don't have anything that I dislike. Free SSL Certificates that are fast and extremely easy! * We monitor all Letsencrypt reviews to prevent fraudulent reviews and keep review quality high. We do not post reviews by company employees or direct competitors. Validated reviews require the user to submit a screenshot of the product containing their user ID, in order to verify a user is an actual user of the product. Hi there! 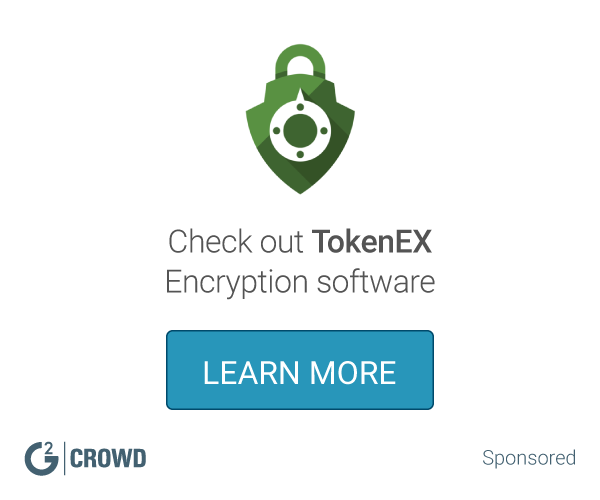 Are you looking to implement a solution like Letsencrypt?